It took a solid two years to get my feet on the ground. It took two years of trial and error, and a large hole in my wallet, to discover that my manager did not have my best interests at heart. It took two years of conversations with fellow actors and professionals I trust to avoid the workshops that exist to take your money, and instead, find the ones that can truly do you good. And it took two years to finally look in the mirror and realize that spending a monthly fee to watch myself audition was more for my own self-esteem than any productive means of my time and money. Looking back at those early years, I ask myself, “Why is this trend so prevalent in our industry? Why is this story so common?” I like to believe that we all pursue this insane career because we love it. Most of us don’t just stumble into the entertainment industry; we may stumble into other jobs, experiences, or talents, but the industry itself, we actively seek out. Unfortunately, where there are so many people actively seeking a dream, there are just as many waiting to exploit those dreamers. These players are hindering our overall success. The majority of us, and I do believe it’s the majority, are the dreamers. We are looking to make something great of ourselves, and in turn, our industry. We dreamers need to band together and help those who want to join our family. We need to hold ourselves accountable. Let’s be a community that encourages and cultivates young talent, not one that is predatory and discards as we please. Yes, we all have to pay our dues, but let’s have our new colleagues pay them through hard work, perseverance, and contribution. We are doing a disservice to our industry by allowing great potential to slip through the cracks because of greed and deception. I challenge us to denounce those who aren’t here to elevate us, and support those who are. Stella Adler once said, “Life beats down and crushes the soul, and art reminds you that you have one.” Let’s be the art. Ben Rovner is the CEO of Space Station Casting Studios, a full service Casting Facility in Hollywood. Space Station strives to deliver a genuine and great experience to casting directors, producers, actors, and everyone else in the industry alike. 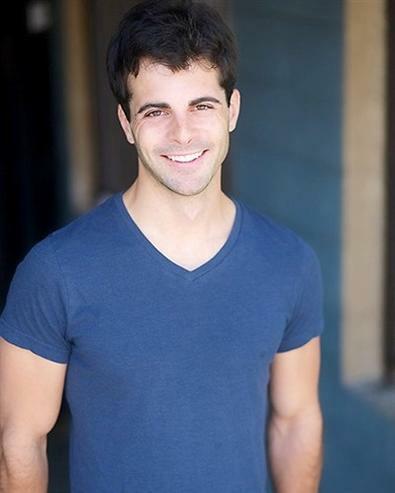 Originally from Chicago, Rovner is an alumnus of DePaul University's The Theater School. Following graduation, he made the move to Los Angeles and has since established himself in many facets of the entertainment industry. Rovner was a resident producer at Crown City Theatre in the NoHo Arts District where he won numerous awards for producing, acting, and writing, including Comedic Actor of the Year from StageSceneLA, and a Critic’s Choice Award from Broadwayworld.com. He also co-wrote and starred in the award winning play “A Big Gay North Hollywood Wedding,” which is currently being adapted into a full length feature film. Ben additionally appeared in numerous commercial campaigns for well-known brands such as Nintendo and FreeCreditReport.com. For more information, visit Space Station's Facebook, and follow on Twitter and Instagram @SpaceStationLA.